As you can tell by the title of this article, I’m going up close and personal with Kanger Subox Mini Starter Kit for this in-depth review. The Subox Mini by Kangertech is quickly becoming one of the most popular starter kits out there for folks looking to get a solid sub-ohm vaping experience for not a lot of dough. And after looking through everything that the Subox Mini has to offer, it doesn’t surprise me in the slightest. 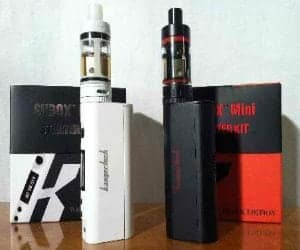 Kangertech is one of the most beloved names in the vaping world, as the company has proven time and time again that they really do know what they’re doing when it comes to creating an excellent vaporizer, such as Subox Mini. By reading my Subox Mini review, you’ll quickly realize that this particular vaporizer isn’t an exception to this rule by any means. Just why is this, though? Keep reading on to find out. Overall, one of the highlights of my review for the Kangertech Subox Mini starter kit has to do with just how impressed I am with how many quality features Kangertech was able to pack into such an affordable starter package. First getting involved with the world of vaping can sometimes be a bit of a challenge (and an expensive one at that). But this simply is not the case with what Kanger has crafted here. 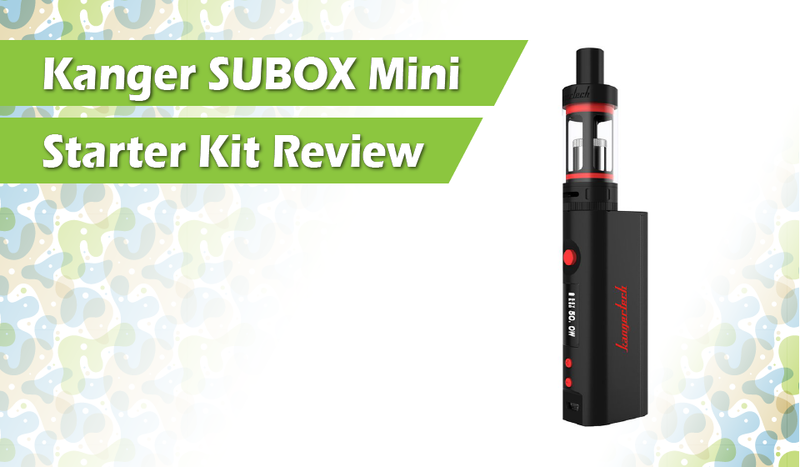 The Subox Mini offers an excellent sub-ohm vaping experience, a high-quality build, and a rather affordable price. Just from that brief description, it shouldn’t come as too much of a surprise as to just why I love The Subox Mini starter kit so much. Right off the bat, one of the things I noticed right away when I started working on my Kanger Subox Mini review was the drastic change in design between the Subox Mini and the KBOX that was released before it. Whereas the KBOX featured a cylindrical design, Kanger decided to go with a more tubular option here with the Subox Mini. I understand that some people have a personal preference for a more cylindrical look when it comes to their vaporizers. Yet, in reality, a tubular form factor is much more practical and easier to use - especially when vaping on the go. The ergonomics of the Subox Mini’s design means that you should always have a secure and solid grip on the vaporizer, and with all of the buttons placed on the front of the gadget (power up/down and fire), it’s incredibly easy to access all of these while vaping your Subox Mini and walking around town. In between the three physical buttons on the front of the Subox Mini is an OLED display that’s used to showcase data on your vape’s battery life and other settings that you’ve got configured for it. Subox screen is large enough to easily see all your info without being overly-large. Also, the charging port is placed on the bottom of this Kanger gadget so that you can easily vape while topping up your battery if you need to. Replaceable batteries is something that a lot of vaporizer manufactures have been taking for granted as of late, but thankfully this isn’t an issue at all with the Subox Mini. One 18650 battery unit keeps the vape powered while you’re using it, and charging it is incredibly easy. However, if you don’t want to have to wait for your battery to charge all the way up in order to start using your Subox Mini while you’re out and about, you have the option to swap it out and replace it for a new battery that’s already charged to 100%. This is a wonderful convenience feature of Subox Mini that’s great to have if you’re a frequent users of your vaporizer and don’t want to be stuck near a wall each time your battery runs low, and although not everyone will take advantage of a feature like this, it’s a really big plus to have if you do find yourself needing to make use of it. My Kangertech Subox Mini review is mostly positive (and for good reason). However, there's one aspect of the vaporizer that I’m not a huge fan of: the juice loading process. You’ll need to make sure you implement extra care and practice when reloading the Subox Mini. The problem here is that liquid you pour into it has a great tendency to fall into the metal tube that's near the corner of the tank you’re trying to pour it into. 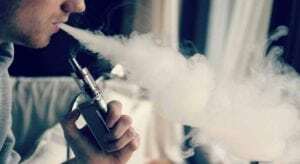 If this happens and you find that your liquid has made its way into said tube, you’ll need to detach the clearomizer from the Subox Mini’s battery, wrap a cloth or item around it, and then blow through the mouthpiece in order to get the unwanted liquid out of it. Being extra careful with the Subox reloading process will help to ensure that you don’t run into this kind of issue. But, if you’re a beginner to the world of vaping, this could prove to be a rather large annoyance for you. One of the main highlights from the Kangertech we can see in Subox Mini is the wide array of customization options that are present with it. There are tons of controls present here, including adjustable airflow, a spring-loaded 510 connection, and even a 6ml Pyrex tank that’s made out of borosilicate glass. However, as great as all of this is, the Subtank Mini that you can use with the Subox Minis is perhaps one of the coolest additions. The Kangertech's Subtank Mini allows you to actively switch back and forth between OOC heat (organic cotton oil) and an RBA head (rebuildable atomizer) whenever you’d like. This is something you really can’t find with any other vapes out there, and it creates for a very personalized experience while using your Subox Mini. To wrap up my Kangertech Subox Mini review, this is a fantastic little starter kit if you want a vape that’s going to provide you with a lot of controls, a great build, and swappable batteries at a very affordable price tag. The somewhat irritating process of loading the Subox Mini with liquid can get annoying at times, but as long as you know what you’re doing and you take your time, it’s a issue that’s easy to deal with. Other than that, the Kangertech Subox Mini is a great purchase. 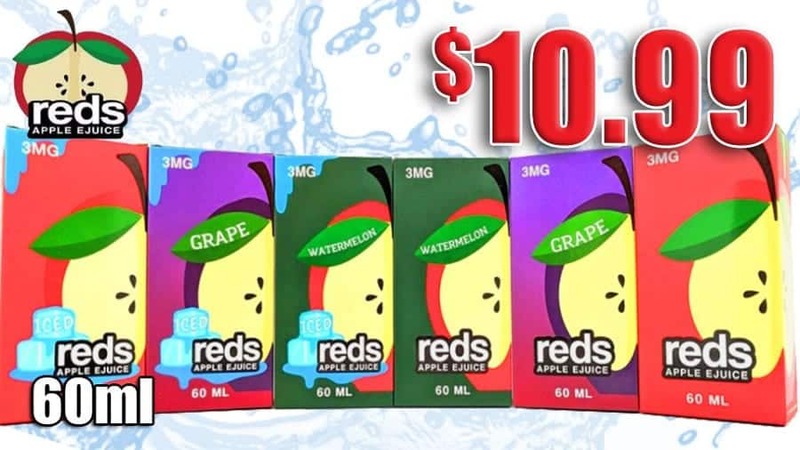 Visit our starter kit main page for more reviews of other great starter vapes. I have the pink mini and have had nothing but problems with it going to 999 all the time no matter what I do!! !